Moorestown defeated Cherokee, 4–0, on Monday night for the club’s first Tier I-A championship since 2010. In Monday’s championship, it was senior Andrew Jordan’s turn to make an impact. After scoring just three goals in the regular season, Jordan scored twice on Monday to help the Quakes to a convincing 4–0 win over Cherokee in front of a standing room-only crowd with hundreds of Moorestown High School students in attendance. 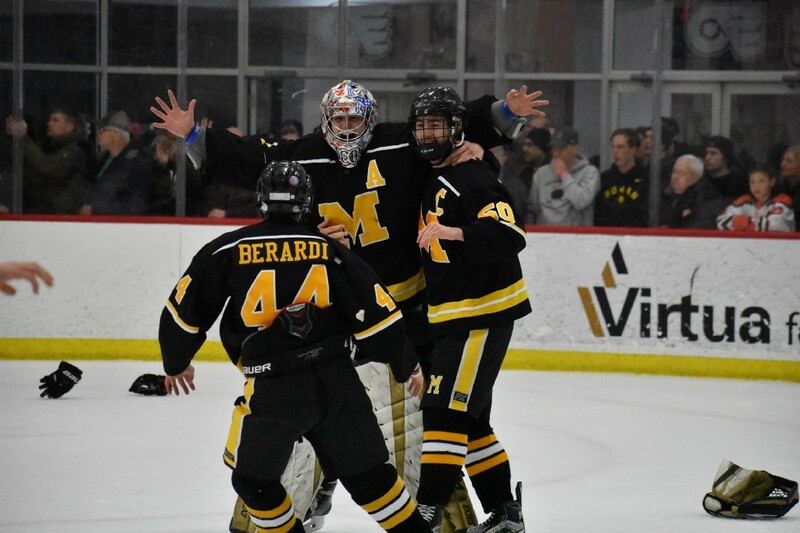 Prior to Monday’s win, Moorestown had the longest active championship drought out of the four teams currently in the SJHSHL’s Tier I-A division at nine years. However, many of the players on this year’s team have championship experience, having previously won a title in the middle school division together. Jordan believes this was key to the team’s success. “To come back and win after four years of nothing is huge,” Jordan added. 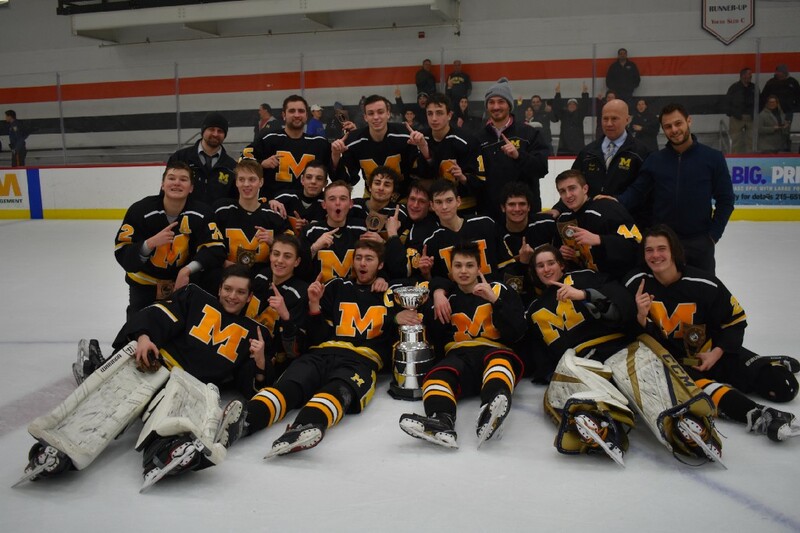 While it had been a while since Moorestown’s last Tier I-A title, the varsity program has had plenty of success in recent seasons. In the last four years, Moorestown finished with a winning record three times. In 2017–18, the Quakes lost just one game in the regular season, but were upset in the playoffs. After last season’s success, head coach Daryl Sporer was confident his team had the talent to win a title. Moorestown had a deep team in 2018–19. The Quakes only had one player, Dobbs, ranked in the top-10 in the SJHSHL in scoring. However, Moorestown did have 10 players score double-digit points over the course of the season, the most of any team in the Tier I-A division. The Quakes needed their depth to survive the Tier I-A double elimination playoffs. 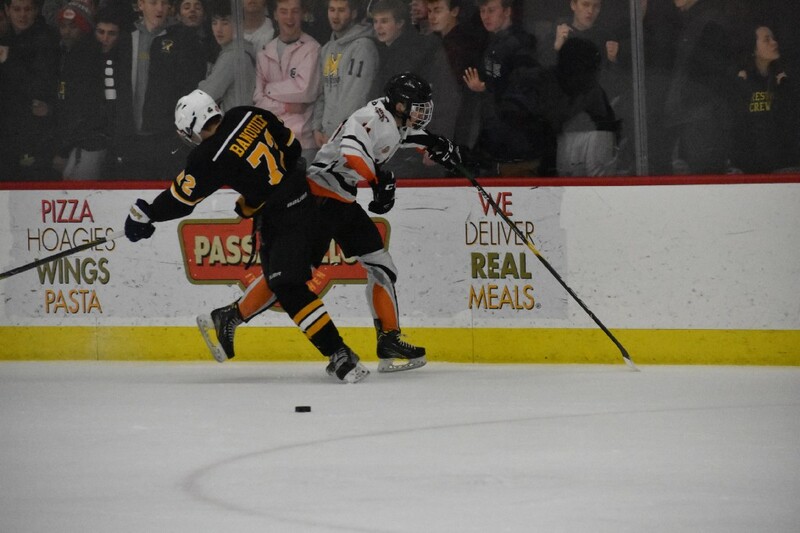 As the third seed, the Quakes first upset №2 Eastern, 3–2, in overtime and then stunned Cherokee, 4–3, in a shootout victory to put themselves in the finals. 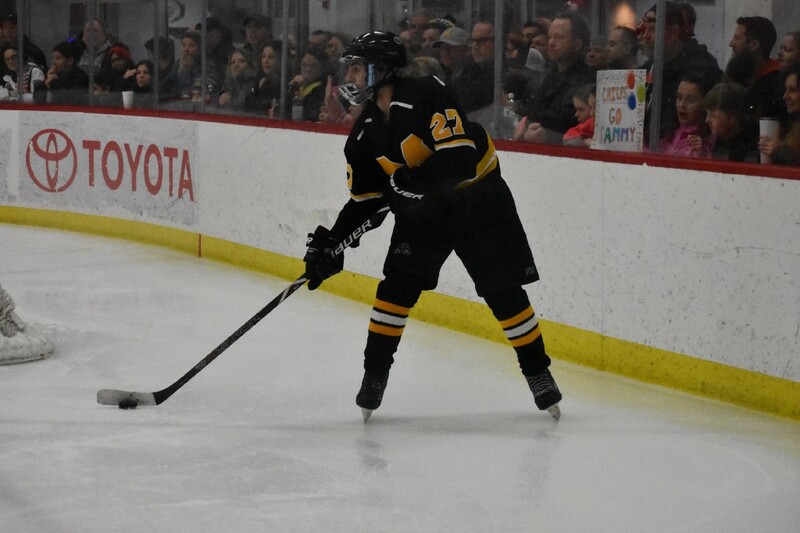 Facing Cherokee again on Feb. 11, Moorestown needed just one win to take the championship, while the Chiefs needed a win to give the Quakes their first loss of the playoffs and force a final game for the championship. In that Feb. 11 game, Moorestown had a 3–2 lead with less than 10 minutes to go. However, a power play goal from Cherokee in the third period and then another one in overtime gave the Chiefs a 4–3 win. A number of Moorestown players came up with huge games on Monday. 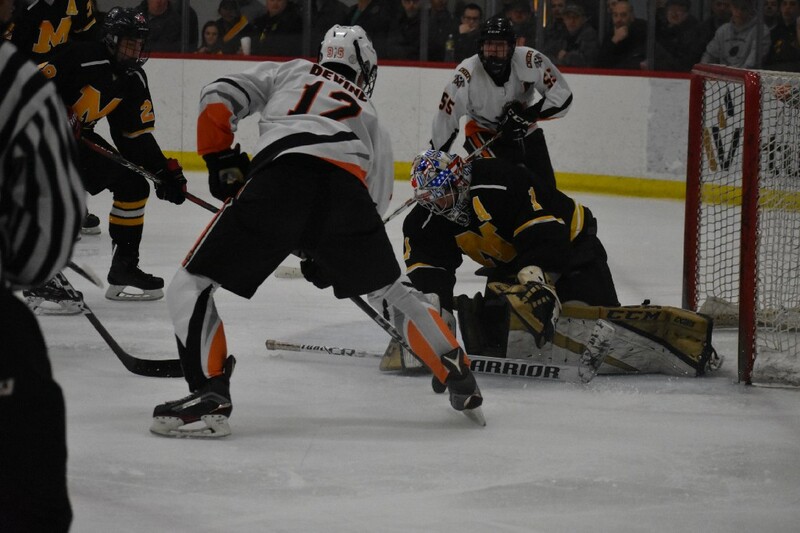 Goalie Griffin Conroy kept the game close early for Moorestown when he stopped 11 Cherokee shots in the first period. Sporer also credited Banquier with shifting the momentum with a few hard body checks in the first period. However it was in the second period when Jordan completely changed the game. About five minutes into the period, Jordan scored the Quakes’ first goal of the game on a wraparound to make the score 1–0. Prior to Jordan’s goal, Cherokee had a huge lead in shots on goal and most of the play was in the Moorestown zone. After Jordan’s goal, the Quakes stole the momentum, adding two more goals from Ryan O’Connell and Zachary McEvoy late in the second period and a second goal from Jordan late in the game to seal the win. Regardless of what happens in next month’s tournament, Sporer believes the team’s championship and its success this year will have a major positive effect on Moorestown’s program for years to come, noting the hundreds of fans who came out to support the team on Monday.